The Many Types of Custom Banners for North Jersey! 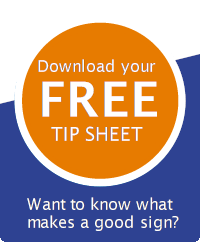 Banners are one of the smartest ways to get your message in front of as many eyes as possible. They get the attention of people on foot, in a car, or in your store with their versatility, durability, and vibrant graphics. Additionally, these signs can be created on a tight timeline and are affordable. To make sure you get your custom banners for North Jersey in time for your event, The Sign Center will work with your deadline. Today’s post will look at what options are available to you. Marketing with banners is beneficial for schools, service providers, churches, retailers, and many other industries. Banners are a must if you are exhibiting at a trade show. Special occasions, like neighborhood festivals or street fairs, are also a good use for banners. Retailers can promote special offers, seasonal deals, and discounts on specific items. Point of purchase advertising and grand opening celebrations are also served well by banners. Any images, text, photos, or designs you want can be featured on your vinyl banner. Display your corporate logo and name on a banner to help boost your name recognition. You can build brand awareness and highlight your top services and goods with full-color graphics. With cut vinyl graphics, you can even change the information on your banners as different units come available in your office building or apartment complex. School Banners – You will help you build school spirit at special events, such as pep rallies, by providing bright, colorful banners featuring your school colors and mascot. Double-Sided Banners – We can print your information on each side of the banner without it bleeding through or otherwise being obscured. Event Banners – The best way to market an annual event is with cut vinyl banners. As you bring it back into us each year, we will update the time, date, and location of your event at a much lower price than completely replacing your banner. 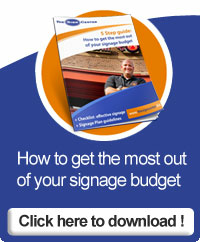 Trade Show Banners – For your next trade show, pick from numerous different banner styles. Due to their easy portability, storage, and assembly, retractable banner stands are a favorite for conventions. Flag Banners – On a windy day, you can get the attention of passersby with flag banners. They come in several sizes and are ideal for companies located on busy roads. 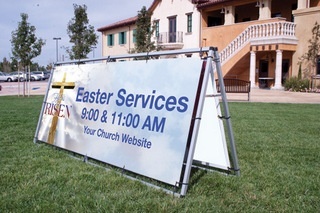 Mesh Banners – If you want to showcase your message in a windy area, mesh banners work best. These are typically installed outdoors on a fence or between two poles. You can block the view into your construction site while sharing information with mesh banners installed on your fencing. Fabric Banners – Though vinyl is the most popular banner material, it is by no means the only one. 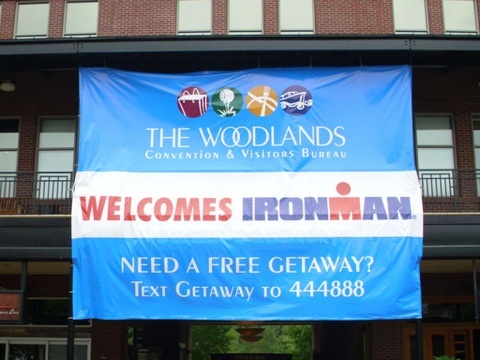 Fabric banners work well for outdoor and indoor applications. They provide a sophisticated way to announce upcoming events and display your company’s name. Contact our friendly banner professionals today to learn more about custom banners for North Jersey.